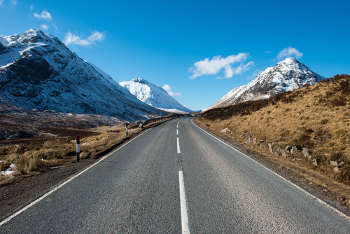 Amey, BEAR Scotland, a joint venture between Graham and WSP and the Transerve consortium including Balfour Beatty and Mouchel are chasing a £175m contract to maintain 1,300-km of roads in north west Scotland. Local authorities across Scotland have had to pay out £1.7m to motorist in compensation for damage cause by potholes. Transport Scotland has highlighted £415m of motorway improvement work opportunities for contractors at a construction industry day. Two major roads projects in the south of Scotland are coming out for bid with plans to start construction next year. A shortlist of four consortia has been invited to bid for motorway improvement work worth £415m in Scotland. Transport Scotland is having to delay signing of a new-style highways maintenance contract in south west Scotland after one of the bidders is reported to have questioned the award process. Argyll and Bute Councili is looking for a contractor to carry out a £5.9m road repair and improvement programme in Helensburgh Town Centre. Contractor McLaughlin and Harvey has won the job to widen the road around Loch Lomond with a £9.2m bid. Three major road schemes worth £36.73 in south-west Scotland will get underway in the coming months. Transport Scotland has narrowed down the shortlist for the bundled M8 M73 M74 Motorway Improvements to two bidders. Work on three major road schemes in the South of Scotland is now underway. Provisional statistics show the number of road casualties in Scotland have reached their lowest level ever. Amey has been awarded a £500,000 contract that will see three road schemes in North Ayrshire brought together to improve a section of the A737. Transport Scotland has announced its preferred bidder for the central Scotland motorway network project. Freedom of information figures show that the poor state of Scotland’s motorways and trunk roads has led to a number of drivers being caught up in accidents. The Scottish Government is investing £2 million in the country’s eco-friendly bus fleet in a bid to lower carbon emissions. Transport Minister Keith Brown has outlined how the additional £20 million, recently allocated to cycling, will be spent in Scotland over the next two years. Construction of the £5 million Crianlarich bypass on the A82 in Scotland is now underway. The new Hatton Bridge in Aberdeenshire, Scotland, has reopened to pedestrian and vehicular traffic. Beams supporting a new bridge over the £17.1 million Dunragit bypass in Scotland were lifted into place at the weekend. New lower speed limits could be introduced across trunk roads in Scotland. Transport Scotland has driven down costs by more than £100 million for the M8/M73/M74 motorway improvements project after awarding the contract to the Scot Roads Partnership Project (SRP). Transport Minister Keith Brown believes he could do more to improve Scotland’s transport system if the country was given the full powers of independence. 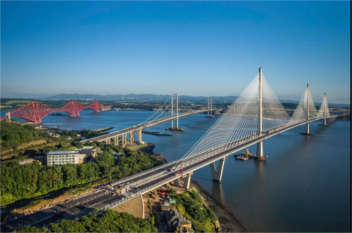 Stirling Lloyd Construction is set to start work on the second phase of a £13.2m waterproofing and resurfacing programme at Kessock Bridge in Scotland. A £13.6 million project to repair and refurbish the Forth Road Bridge in Scotland has been completed. 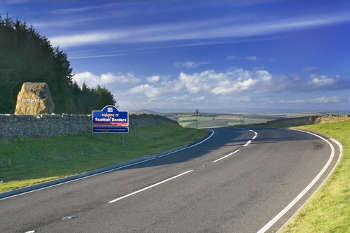 New border road signs that will highlight major 2014 events will greet visitors to Scotland. Refurbishment of the Erskine Bridge in Scotland is almost complete. Average speed cameras are being installed on the A9 in Scotland. A bridge over the River Spey in Scotland has been refurbished. The vast majority of Scots want the government to prioritise the repair of the existing road network over building new roads. The installation of average speed cameras on the A9 in Scotland is encouraging safer driving in advance of the cameras being switched on. Balfour Beatty has been named as the preferred bidder for the Third Don Crossing in Scotland. Colas have launched a new contracting business that is solely dedicated to the Scottish market. 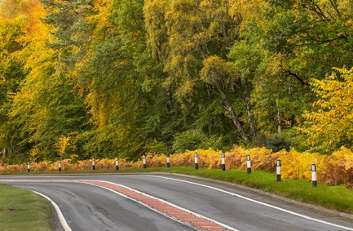 Jacobs has been awarded a contract to carry out the dualling of a 32-mile stretch of the A9 in Scotland. Bear Scotland and Amey will take over responsibility for the maintenance of 1,164km of trunk roads in the east of Scotland from today (16 August 2014). Vital ground investigations have now started on the A82 between Tarbet and Inverarnan in Scotland. The number of people killed and injured on Scotland’s roads fell by 10% last year. Average speed cameras have come into force on the A9 in Scotland. With Scotland experiencing cold temperatures and snow, Transport Minister Derek Mackay has visited a salt depot near Glasgow to see the preparations that are being made for the wintry weather. Construction of the Queensferry Crossing in Scotland is on schedule and £195 million under budget. 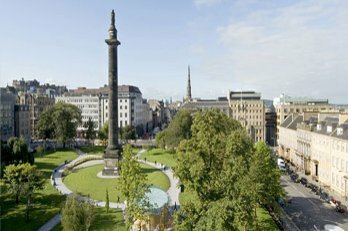 Plans to turn Edinburgh into Scotland’s first 20mph city have been revealed. Data that illustrates how speed cameras have influenced driver behaviour on the A9 in Scotland has been published. Construction of the Queensferry Crossing in Scotland is continuing to progress well with all three towers now standing at half of their final 210 metre height. Highland Council has changed its mind over a controversial plan to scrap evening pre-gritting on a number of roads next winter. Lagan Construction Group has been awarded a £15.2 million project to create a 1,000-space park-and-ride site on the A96 in Dyce and a new dual carriageway link road. The Scottish government has unveiled junction options for the A9 at Dalwhinnie. A £1 million contract that will see major repairs and improvements carried out on the A82 in the North West Highlands is underway. A £500 million project to improve major trunk roads in Scotland has reached a major milestone. Scotland’s roads authorities are considering new ways of delivering maintenance. Second year undergraduate civil engineering students from across Scotland are being offered the opportunity to win a place on The Road Maintenance Research Working Group. A major metal detecting survey is set to get underway on the site of the Battle of Killiecrankie, as part of the Scottish government’s work to dual the A9. A joint venture of Wills Bro Civil Engineering and John Paul Construction has been awarded a £35 million contract to dual the A9 between Kincraig and Dalraddy in Scotland. Transport Scotland has appointed Angus Carmichael as Scottish Roadworks Commissioner on an interim basis. Work on the £3 billion A9 dualling programme in Scotland has got underway today (10 September). More than £56m of work has been placed with local Scottish subcontractors so far on the M8 M73 M74 Motorway Improvements Project. 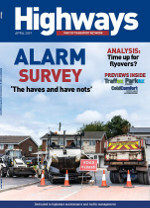 A local authority in Scotland is the first to adopt lower-temperature asphalt. 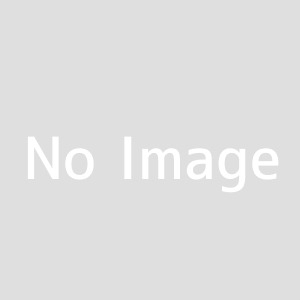 Contractors are being invited to tender for a £50 million design contract notice for dualling work on the A96 in Scotland. Timelapse footage shows the first bridge beams being lowered into place on the Aberdeen Western Peripheral Route/Balmedie –Tipperty project in Scotland. Breedon Aggregates has won a £10 million contract to supply drystone, ready-mixed concrete and asphalt for use on the first stage of the A9 dualling project in Scotland. Almost one-third of Scotland’s street lamps will be LEDs by 2017, according to figures released by the Scottish Futures Trust. The Forth Road Bridge in Scotland has fully reopened. More than 100 lamps on the M8 in Scotland will be switched to LED lighting. Ground investigations are now taking place along the A96 in Scotland. Road safety group 20’s Plenty for Us has called on the Scottish government to change the national speed limit from 30mph to 20mph on urban roads. 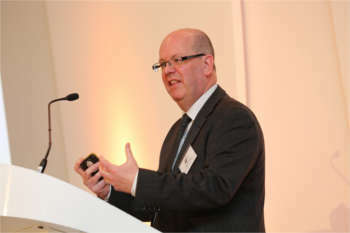 WJ hosted its first innovation day in Scotland with the event attracting around 100 delegates. Urgent action is needed to help improve the condition of Scotland’s roads, according to a report by Audit Scotland. Balfour Beatty has been awarded a £35 million contract by Perth and Kinross Council to create a new grade separated junction on the A9 dual carriageway in Scotland. Motorists are now able to drive on the first stretch of new road to be constructed as part of the A9 dualling project in Scotland. Final statistics for 2015 confirm that 168 people were killed in reported road accidents in Scotland in 2015, 17 per cent less than in 2014. Scottish Transport Minister Humza Yousaf has announced plans for a cycling taskforce. Timelapse footage that shows the demolition of one of the highest bridges on Scotland’s motorway network has been released. Raeburn Drilling & Geotechnical Ltd will carry out ground investigation work on the A9 in Scotland after landing a contract worth £1 million. Companies are being invited to bid for a contract to upgrade the A96 in Scotland that could be worth up to £50 million. Proposals for a new bridge to cross the River Spey near Kingussie in the Cairngorms National Park have gone on display as part of the consultation process for the preferred option for the A9 Dualling Crubenmore to Kincraig scheme. Councils across the country have been battling to keep their highway networks operating safely as the most severe threat of snow moved from Scotland and the North East to Wales and South West England. The Scottish Roads Collaboration Programme has helped oversee many changes to how roads are managed north of the border. Now its programme manager has his sights on potential national changes to governance and funding. The Scottish Government's long-awaited Transport Bill aims to ban pavement parking and strengthen the powers of the country’s roadworks tsar. Registration has opened for one of the biggest traffic, transport and infrastructure events Scotland has ever seen. Scotland’s local authority transport chiefs have expressed frustration at the slow pace of change over the country’s governance arrangements. Transport Scotland has awarded the contract to support the second Strategic Transports Projects Review (STPR2) to a combined team of Jacobs and Aecom.